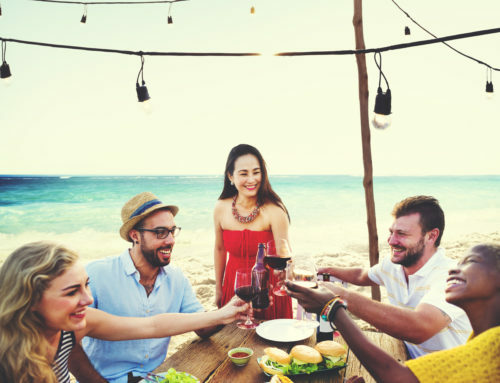 “Eating more like our ancestors did.” That is increasingly seen as one of the missing pieces of the health puzzle in our modern developed country by everyone from macrobiotic hippies in California to health scientists in Boston. From the trend of using more whole food ingredients to strict “Paleo-” diets to foraging — this is one of the big themes of nutrition today. Of course, we don’t live in an Eden where we need merely to pluck a fully ripened fruit from a conveniently growing tree; we could never in our history have been able to afford to be this casual in food procurement — we so often NEED convenience, but we are finding that in the long run we need the better nutrition found in whole food ingredients too. 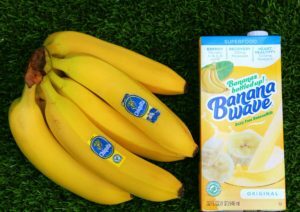 Enter Banana Wave, the main product from a new company Fresh Start Beverage, makers of a “milk alternative” product that has a more densely robust nutrient profile than nut milks — especially considering that it’s list of ingredients contains bananas, grains, and seeds. The Founders of Fresh Start credit the idea for their recipe to their grandmother, who in turn credited a heritage of liquefying bananas passed down from the upper Nile region of Sudan/Kush/Nubia, where there is archeological evidence for the use of bananas for thousands of years. Our country needs more evangelists of good eating, of eating for the long haul, and I have found one in H.E. Neter Kush ben Alkebulan. I was lucky enough to meet Neter or “Nature” at the recent Natural Products Expo West trade show in California. Below is my interview with this entrepreneur challenging the beverage category in exciting ways. Tell me about your company — what is your origin story — what are your products and why did you decide to launch a company? My father passed away of a heart attack at age 59 — and that was really a wake-up call for me to live a healthier life. I remembered as a child growing up that my family made me a drink made of bananas, millet, seeds and oats. So, I did some research to see if there were similar drinks already on the market. I found that there was no BananaMilk on the market. When I did find it, the product was in Korea — but it was a cow’s milk product with artificial banana flavoring. My family’s recipe had been passed down across many generations — going back to my family’s roots in Africa. They came from the Kingdom of Kush, which is (now called Ethiopia) and Nubia (now called Sudan) and then it migrated to Gold Coast. Banana Wave is made by pureeing bananas, adding a little water to it and then blending in other ingredients like oats, millet and different seeds. The drink is a non-dairy milk alternative that has a lot of nutritional value — significantly more, it turns out, than most of the other non-dairy drinks commonly made from nuts. 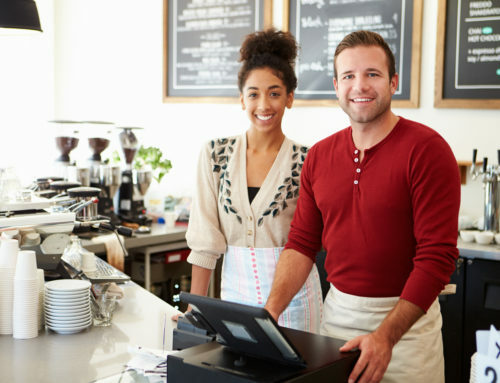 With all the risk involved, why start a company of your own? I’ve always been entrepreneurial — my grandfather took me to flea markets when I was young and I would help him sell things. It gave me a love of business. I discovered I had a talent for sales. I went to school in international business and minored in marketing. Then, I decided to take a crack at launching my own company. First, I did research for 3 months, wrote my business plan at the library at Nova Southeastern University and in March 2013 my family and I formed a corporation and initially made the product in my Aunt’s kitchen. After I had what we felt was a great product, we took it to the streets to get people’s reaction to it and to make sure there was a market for it. What I found is that people loved the product — I would have lines waiting on me and my fiancé, my brother and a few others — so we realized we had something. Where did your first big break come from? Whole Foods started to notice us because we were selling the product at the farmer’s market right outside their parking lot. They said if we could get the product packaged up, they would take it into the store. It was a great opportunity, but it posed a challenge: what was the best packaging to use? I researched it and created a design. Then, I had to give our potential manufacturer a presentation selling them on the product before they agreed to produce my first commercial samples in 2014. I relied on my contract manufacturer to recommend sources of supply for me. I had the recipe – but I wanted to make sure the ingredients were non-GMO first and foremost. Where possible, I wanted to get organic products. My product was based on real food – so when you do that, you don’t have to rely on chemicals and preservatives. The key challenge is how you scale up the goodness of the home-cooked product. It was a matter of me interviewing supplier companies and researching who my competitors were using. I went in and talked to potential suppliers and sampled each of their products/ingredients. I was able to translate these bulk ingredients into the same final product that my grandma used to make by boiling it in the pot — which is what I was committed to doing. You recently exhibited at the natural products Expo West trade show – what was that like? What where some of the positives and challenges from that experience? I’ve been going to Expo West for about 4 years now. My first year I went as a consumer to look around and learn about the industry. My second time going, I got a booth there on the main floor to get feedback on the packaging and taste. That opportunity provided a lot feedback from both consumers and future buyers that I used over the next few years. This year, I chose to be in the hot products section because Banana Wave is still fairly new and on-trend. Even though we have been successful in getting some sales, I wanted to make sure people knew we were the first. The show helped us gain more exposure and reach the right people in the retail market that we want to be in — and it saves a lot of time trying to pitch multiple buyers over time. Tell me about what your company is doing on sustainability. Do you measure the triple bottom line (environmental, social, economic performance and outcomes)? Do you focus on a series of “more sustainable” traits or attributes? First and foremost, we believe having a sustainable company means having a set of strong guiding principles. Our core values include a respect for life, family, community, Mother Nature, culture and tradition, health, happiness and longevity, freedom, liberty and independence, respect for self and for knowledge. These values drive our mission. We believe in responsible beverage industry leadership, creating profitable growth for our stakeholders in harmony with social responsibility and excellent corporate citizenship locally and abroad. In terms of sustainability initiatives, we use packaging that is completely recyclable and we actively encourage recycling efforts and provide information on our website that helps consumers find recycling resources. On the social side of sustainability, we recognize that because our product is so nutritious, it serves as a great gift to those in need. We donate to a lot of the Feeding America charities as part of our commitment to being a socially responsible company from our very beginning. Where can people find your products now? People can buy from us in a number of ways: either online or from a growing list of retailers in some regional areas that are expanding everyday including: Whole Foods, Safeway, HEB, Walmart — and coming soon, Kroger.